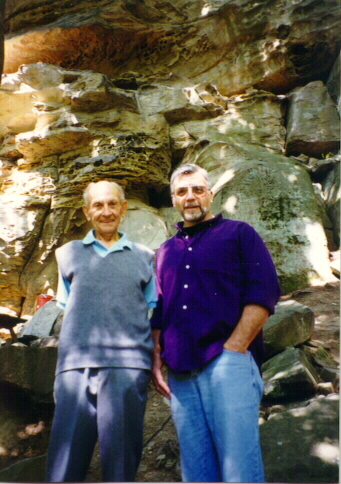 Albert Miller and Dr. Adovasio at the Meadowcroft Rockshelter. Today, Nov. 12, marks 60 years to the day since Meadowcroft’s founder, Albert Miller, first peered into prehistory through a groundhog burrow at the Meadowcroft Rockshelter. On that fall day in 1955, Albert found some artifacts excavated by the groundhog and decided to enlarge the hole for further investigation. His effort yielded pieces of burnt bone, flint flakes, fresh water mussel shells, and an intact flint knife, all of which validated Albert’s long-held theory that native people once used the rockshelter as a campsite. To guard against looting, Albert kept quiet about his discovery while he sought a professional archaeologist to conduct a proper excavation. That search lasted 18 years. In the spring of 1973, new University of Pittsburgh faculty member, Dr. James Adovasio, was searching for a site to conduct an archaeological field school. After hearing about Meadowcroft from California University of Pennsylvania historian, Dr. Phil Jack, Adovasio visited the site and requested permission to excavate that summer. The first radiocarbon dates came back from the Smithsonian lab while the second field school was underway in 1974. With dates confirming a human presence at the site going back 19,000 years, everyone was blown away. That evidence made Meadowcroft the oldest site of human habitation to be discovered in North America. Meadowcroft’s Program Coordinator, Andrew Donovan, stands near the location of the 1955 groundhog hole (indicated by the spotlight). Meadowcroft visitor Maddy Cline takes a selfie with Rocky. 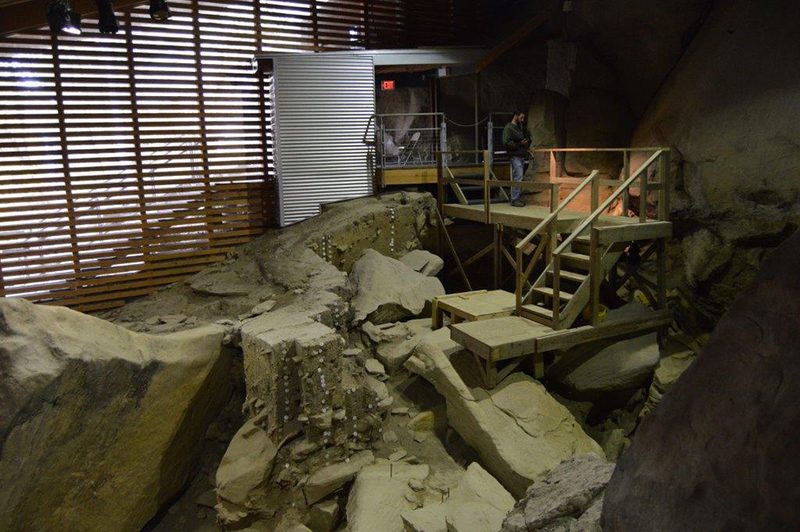 Today, visitors from across the country and around the world can view the open archaeological excavation and see evidence of the first Americans at the spot where Albert and the groundhog first met 60 years ago. 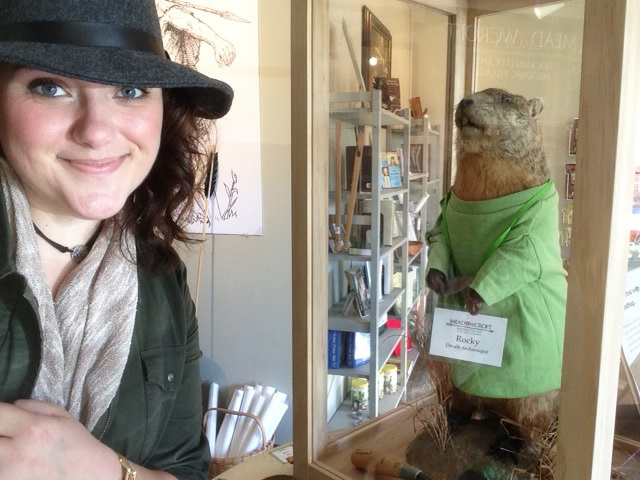 Nicknamed “Rocky” by Meadowcroft staff, a mounted groundhog displayed in the visitor center sports a Meadowcroft tee shirt and a name tag conveying his title of “On Site Archaeologist.” Rocky is a selfie magnet whose visage now serves as proof of a visit to the world renowned Meadowcroft Rockshelter. Editor’s Note: Meadowcroft is closed for the season from November to May.